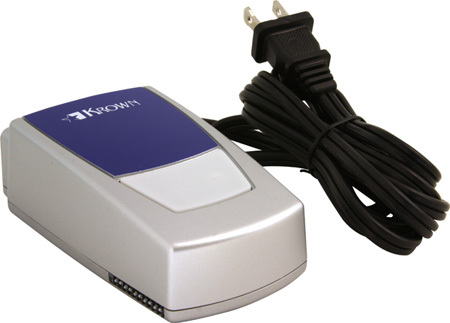 Mobile Phone Signaler (KA1000RR & KA300TX) - Krown Manufacturing, Inc.
Do you miss incoming messages on your mobile phone when you are home? Tired of carrying your mobile phone around your home? Price includes 1 KA1000RR and 1 KA300TX. The KA1000RR & KA300TX may be a perfect solution for you. Plug your lamp into the KA1000 Remote Receiver. 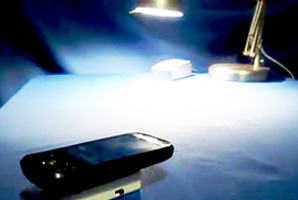 Activate the transmitter, set mobile phone to vibrate and place mobile phone on top of KA300TX. 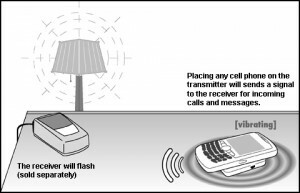 When incoming calls or messages are received the transmitter sends a signal to the KA1000RR causing the lamp to flash. Note: Manufacturer’s 1-Year warranty from date of purchase against any defects in materials or workmanship.